One of the most important tips for entertaining is to make sure that you can enjoy your party and hang out with your friends. 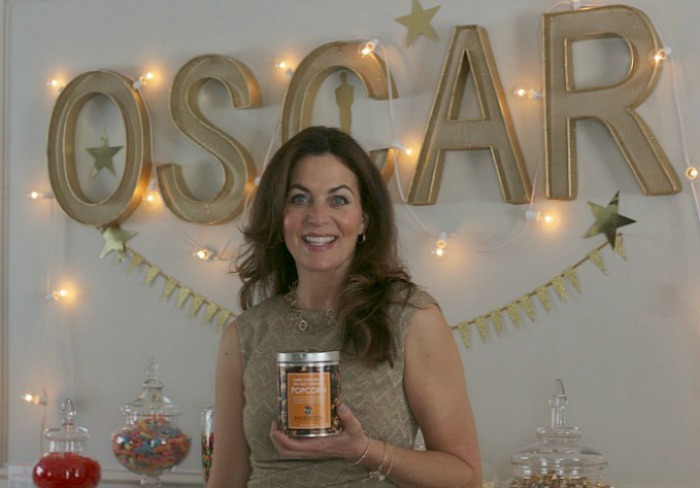 Creating a candy and popcorn bar allows you, the host, to have a carefree evening to watch the Academy Awards and lets your guests help themselves to whatever they want throughout this 4-5 hour-long viewing party. Provide a wide variety of candy options, and don’t forget the chocolate! 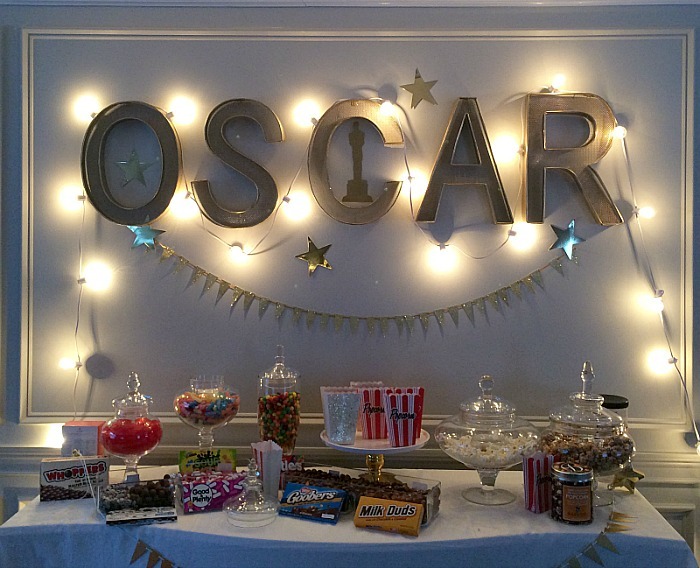 I set up a buffet with movie theatre candy/popcorn and added some glam by using large gold letters and lights for a Hollywood vibe. The Academy Awards begins with the red carpet (my favorite part!) and ends 4-5 hours later with the award for Best Film. Since this is a TV-viewing party (versus mingling) you will not want to miss any part of the broadcast. The best way to ensure that you can be a guest at your own party is to set up a buffet so your friends can help themselves to food throughout the evening. 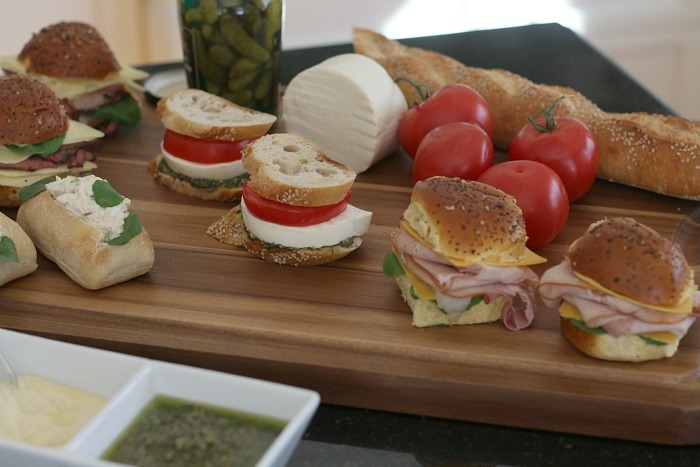 A budget-friendly way to feed your guests is prepare a sandwich bar with a delectable assortment of breads, rolls, sliced meats and cheeses, spreads and condiments. Tip: A sandwich bar does not have to be casual, you can lean towards the finer varieties of meats and cheeses such as Kobe Roast Beef paired with Imported Swiss Cheese or Maple Smoked Bourbon Ham paired with Tillamook Cheddar. 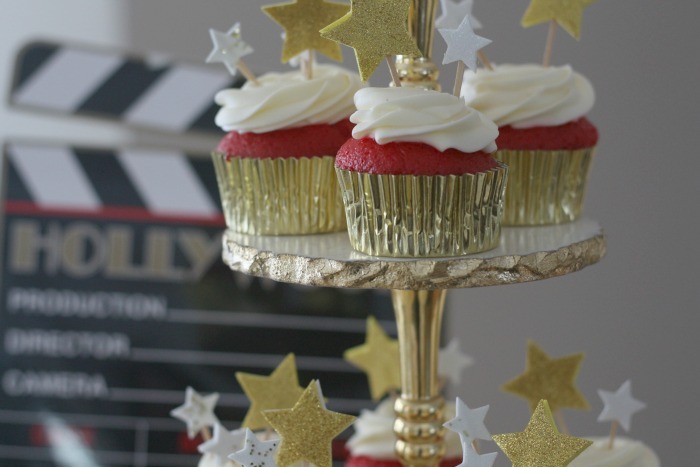 The Oscars are all about celebrating the best of film, whether it is the actors, the music, the directors, the screenplay writers or the cinematography – this is an evening of toasting the best of the best! 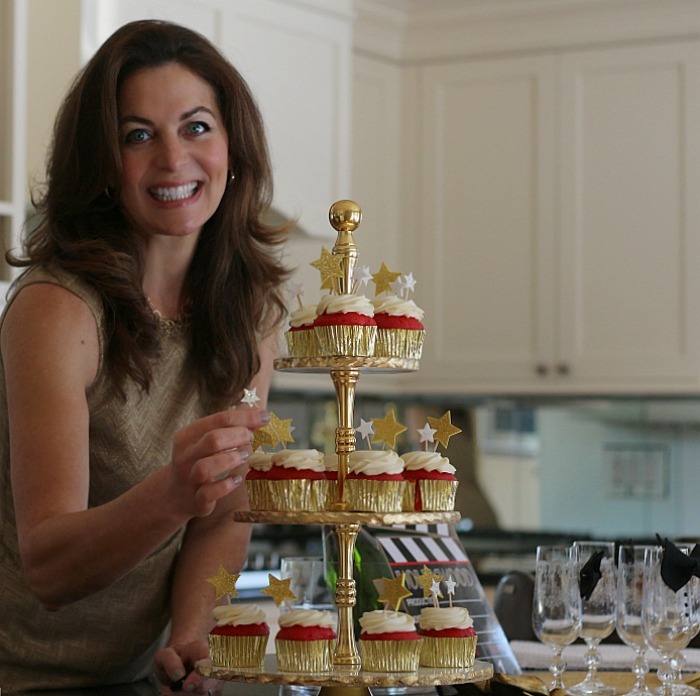 Join in on the festivities by serving champagne in stylish glasses that have been dressed in a tuxedo. This DIY is so simple and easy to do and takes no time at all. 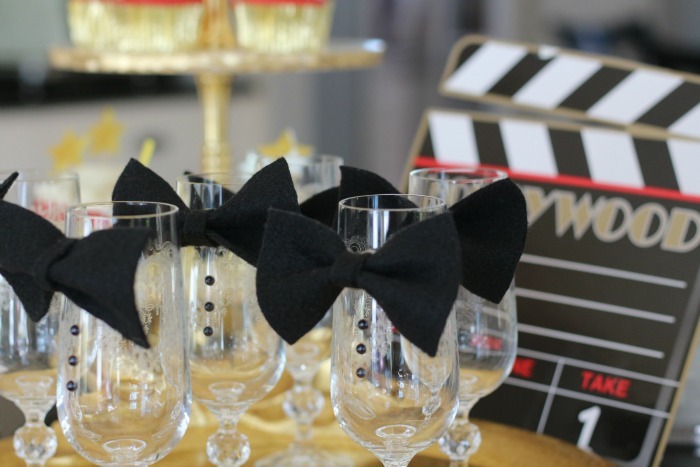 Your guests will get such a kick out of these glammed up glasses. The 88th Academy Awards begins at 7:00pm ET this Sunday, February 28th on ABC! Here is link for more information about the Oscars.